Once you have entered all of your sources for a project, you're ready to create your Works Cited page. Click on the project name you're working on, then go the Print/Export menu in the upper-left corner. 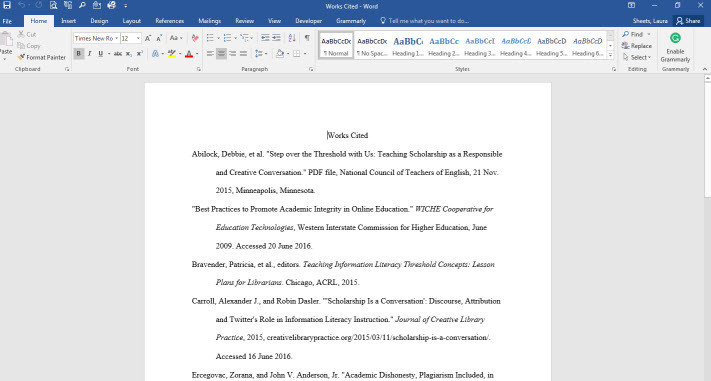 If you want to print or save your Works Cited page, select "Print/Export" to Word. If you don't have Word on your computer, you can also export to Google Docs. You can also email the file to yourself, a classmate or your professor. 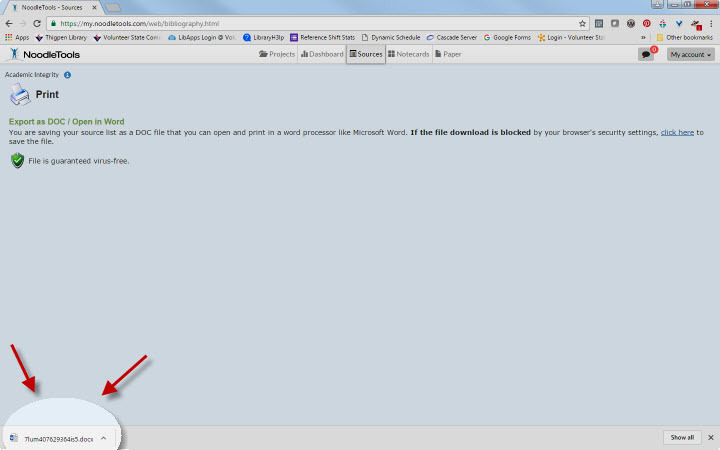 Your file will download in the bottom left corner of your browser window. Open it to save or print your Works Cited page. If you save the document, be sure to rename the file so it will be easy to find later. NoodleTools has done all the formatting for you! As long as you entered your citation elements correctly, NoodleTools takes care of the rest!